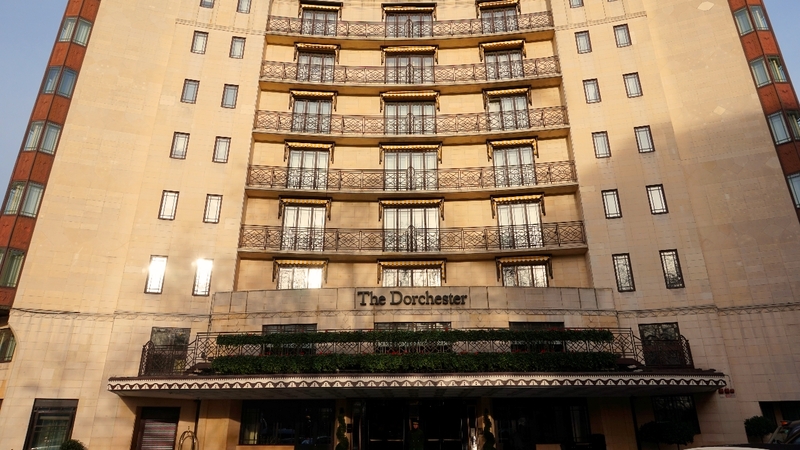 My favorite place to stay in London is the iconic Dorchester, in one of their signature Dorchester Suites. 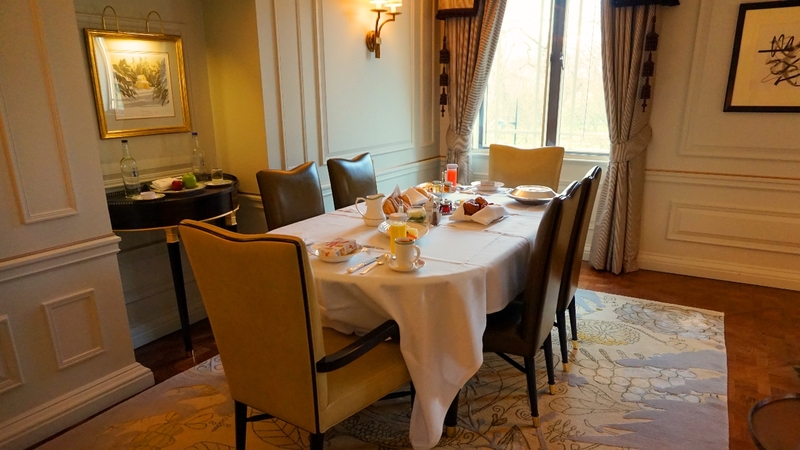 The spacious suites, with sweeping views over Hyde Park, offer what I think is the ultimate combination of service, location and luxury. 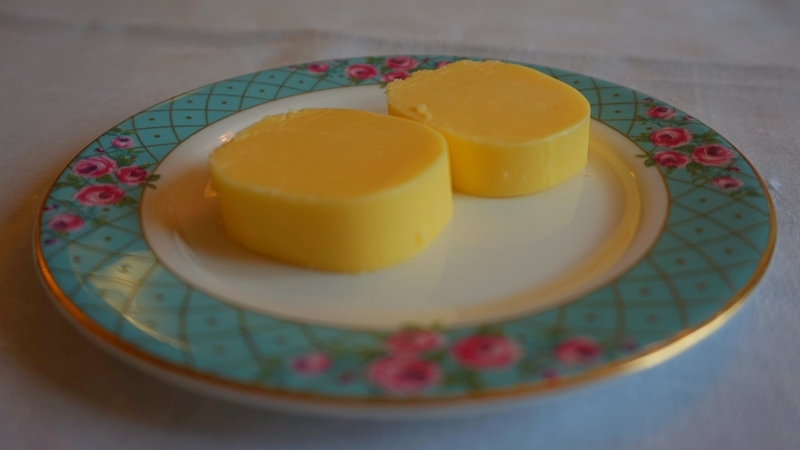 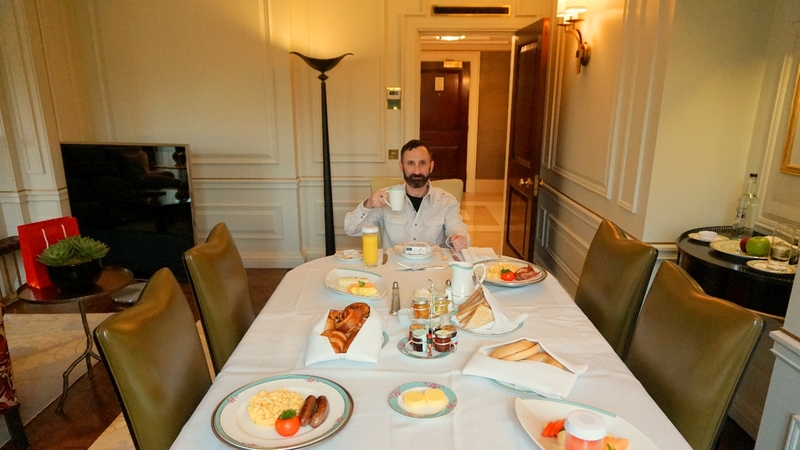 Perhaps my favorite meal to have while staying at The Dorchester is breakfast, especially when served en-suite via their wonderful in-room dining. 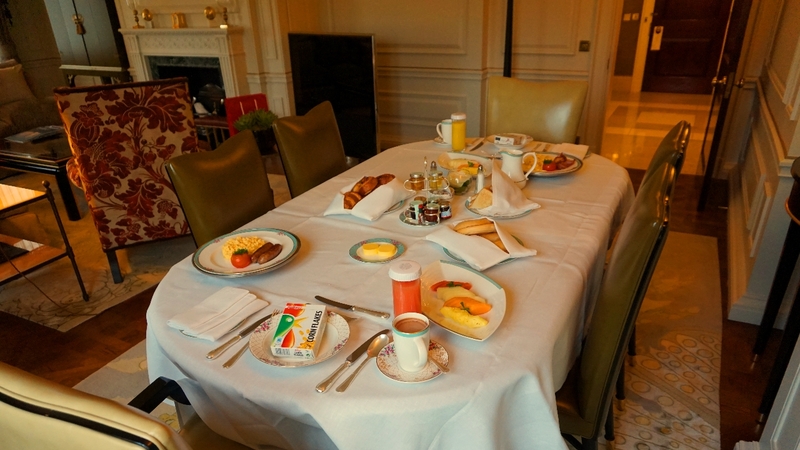 Here are some images from just one of those amazing breakfasts, served on the large dining room table in the living room area of the suite. 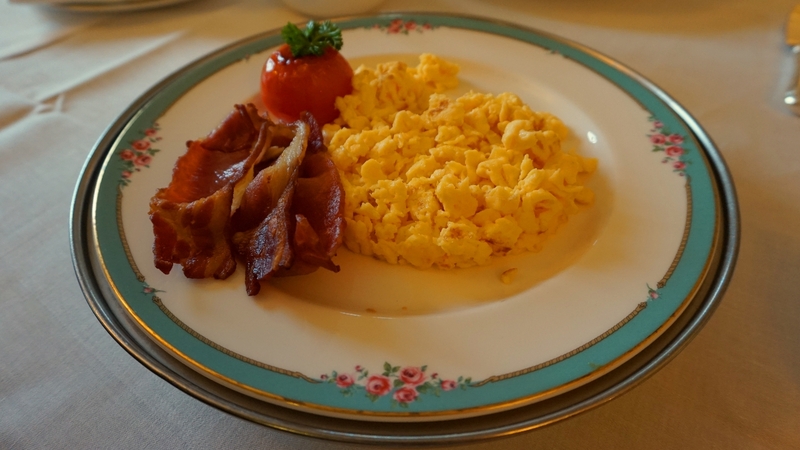 Organic scrambled eggs, thick-cut bacon, sausages, orange juice, hot chocolate, cereal and croissants.